First of all, gardening is hard. It was a lot of hard work up front clearing the spot for the garden, planning what to plant, and scheduling out when to start seeds inside and when to transplant them. Then once they were in the ground, I had to keep them watered, spray for bugs, and try and keep the powdery mildew at bay. 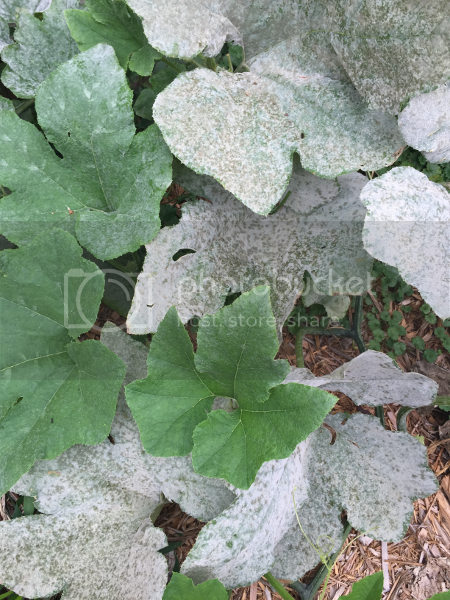 I didn’t do such a good job on that last part (as you can see above), so my squash and zucchini plants basically died from the mildew in September. The pumpkin plant also suffered, but didn’t die. There were several seeds that I started in the soil (carrots, yellow onions, and okra) because you can’t transplant them. Of those, only the okra ever sprouted. There may be a fungus in my soil that’s keeping seeds from germinating. 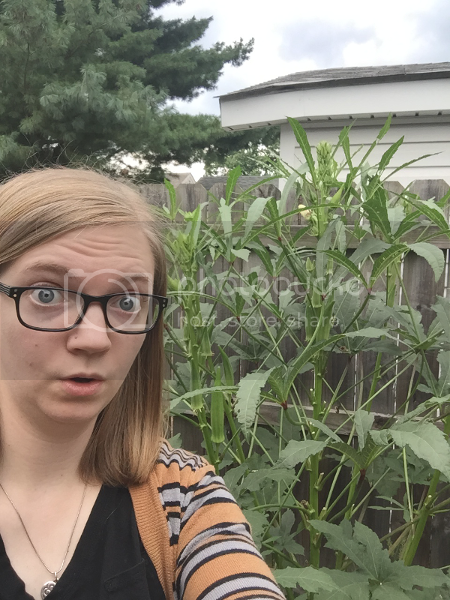 The okra did great though, it’s taller than I am! Of the plants I transplanted, several of them died shortly thereafter (yellow onions, broccoli, one green onion plant, and the first tomato plant). The watermelon didn’t die after the transplant, but it didn’t ever grow much either. It’s been outside and alive for a few months now, but never flowered or grew much bigger than it was when I transplanted it. I think my soil is lacking some of the nutrients it needs. The one broccoli plant that lived got too hot to quickly and ended up flowering before I picked any broccoli, so we didn’t get any harvest from it. 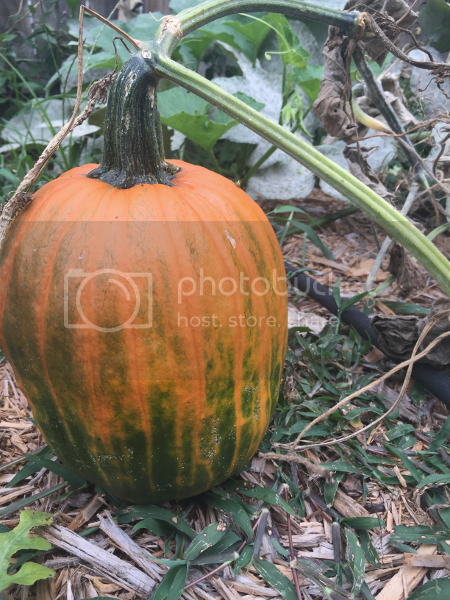 The pumpkin grew like crazy, and even managed to sneak a vine all the way up to the front of the garden (about 15 feet) and several vines out into the grass. 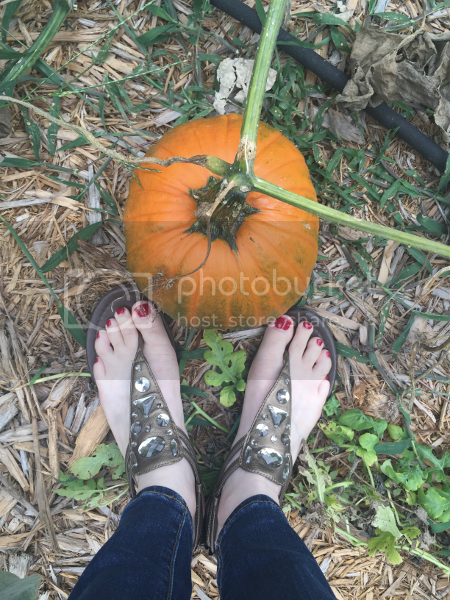 But from the three plants, only one pumpkin grew. I was hoping to keep the pumpkin alive as long as possible, but I waited too long, and bugs got to it. Look at it, it was so cute! The death of the pumpkin was definitely the greatest garden tragedy. Side note: I didn’t realize that pumpkins started out green. I was pretty surprised when I discovered it. I don’t know why, though, because plenty of plants do. Anyway, we got large crops of squash, zucchini, green onion, peppers, tomatoes, and okra. 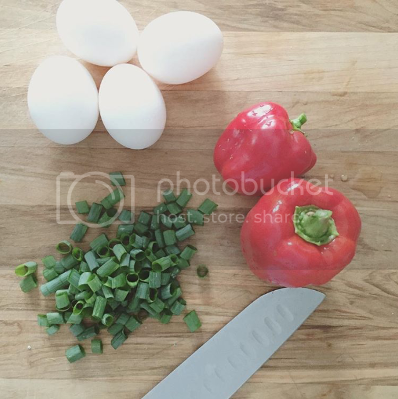 I’m a big fan of the okra and green onions. Okra is great because it produces a ton and can easily be frozen for later. I think I have about 10 ziplock bags in the freezer, and it only stopped growing them when I stopped picking. And the green onion is amazing. I just cut off the tops when I needed some (almost every night for dinner, and more for omelettes in the morning), and they kept growing steadily all summer. We never ate enough to keep up with the plant production (we have four plants). I’m going to try and dig up one or two of them and pot them so we can have fresh onions all winter. 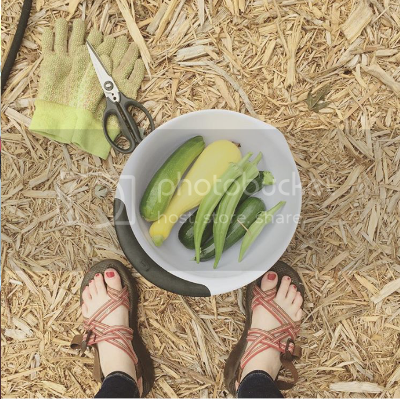 The okra and green onions were the easiest to maintain, but the squash, zucchini, and peppers were also pretty low-maintenance. So there you have it, my gardening wisdom: if you plant nothing else, grow green onions! Happy gardening (for next year)! 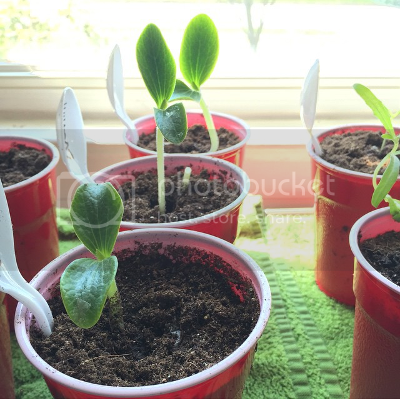 And if you’re curious about how I started the seeds and transplanted, check out this post.